My metabolism is no-bueno. At least, I don’t think it is. I have always been a bit on the larger side, even as a kid, and feel as though my slowmetabolism may have played a part in this (amongst other things). That means I have to make a conscious effort to improve it, thus improving my health. 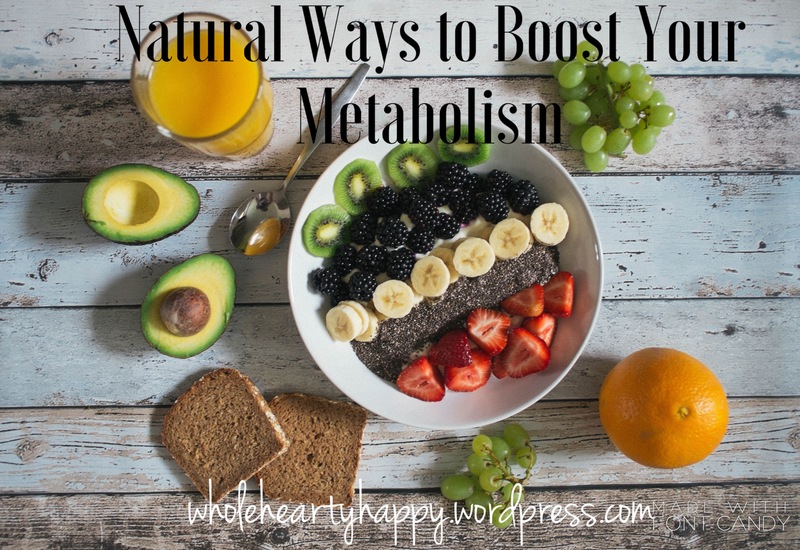 So, I thought I would make a quick post on a few natural ways you can help to boost your metabolism. Eat 5-6 small (calorie balanced) meals a day.Keeping an appropriate amount of nutritional fuel in your body assists with regulating insulin levels and workload of the body’s systems. Drinking 2-3 liters of water each daycan assist with improving the body’s ability to flush toxins and waste, while also significantly improving its ability to burn calories even while resting.